Some photos taken at the celebrations that took place on the 24th April 2012 in Edale. Mike Harding introduces the speakers and guests. 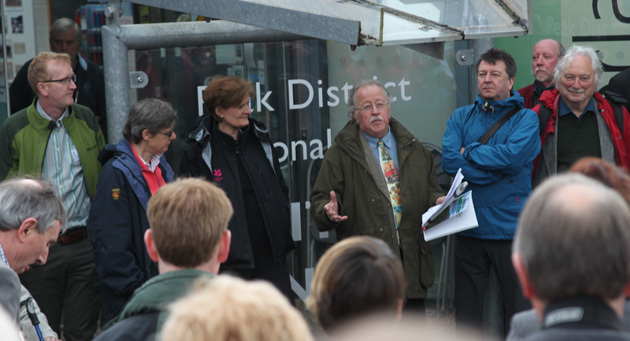 From left to right: Benedict Southworth (CE, Ramblers), Kate Ashbrook (President, Ramblers), Fiona Reynolds (Director General, National Trust), Mike Harding, Stuart Maconie (Broadcaster and Writer), Roly Smith (Celebrations Organiser) and Harry Rothman (Benny Rothman's son). 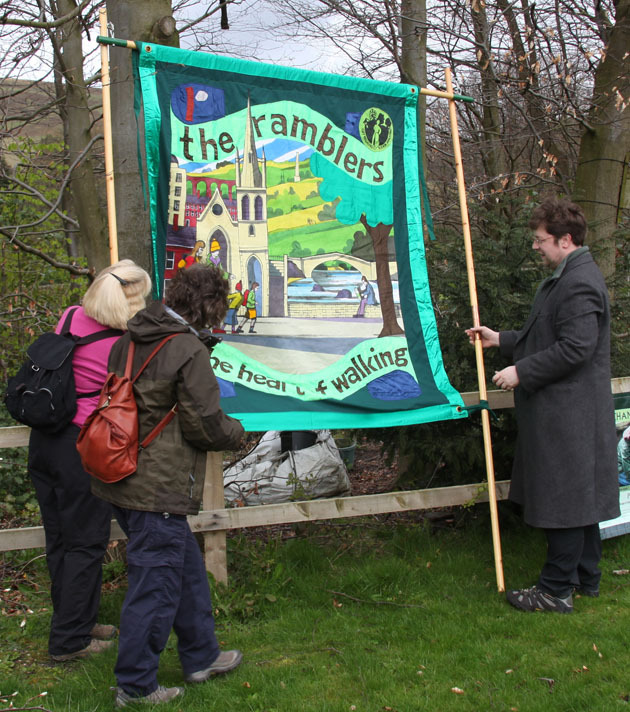 Mags, Salle and John unfurl the Ramblers Banner.